In 2016 The SPFL Trust launched Festive Friends, a simple concept to create something special for those suffering the effects of isolation at a time of the year when they need it most. There are many and varied reasons why elderly people end up on their own and then fall into a sad cycle of isolation and we felt that Christmas day was the ideal time for ensuring that some of them in North Glasgow would avoid this and, hopefully, enjoy a nice day in the company of others. All participants at the Festive Friends event were treated to a traditional three course Christmas dinner, the ubiquitous game of bingo, a couple of drinks and some ‘light entertainment’ provided by the volunteers. Each participant also received a small gift and £10, courtesy of Partick Thistle Charitable Trust and the SPFL Trust. Identify – We identify vulnerable or isolated groups, through existing programmes or partnerships. Accessibility – Transport is organised for participants to attend and return home from the event. Dinner – A full Christmas Dinner is served for everyone. Fun – Fun and enjoyable entertainment is put on for all the guest, we even give everyone a small gift! Listen – Volunteers on the day take the time to listen to guests and talk to them. Partick Thistle Charitable Trust’s special Festive Friends took place at Firhill on Monday, 25 December – the first organisation and to deliver the project on Christmas Day. Contact us if you, or know of someone who would love to join us this Christmas! We have teamed up with the Maryhill Integration Network to supply weekly football for local refugees. These sessions include some skills development and the opportunity to play in small friendly games. It’s free and all are welcome. Suitable for age 14+. 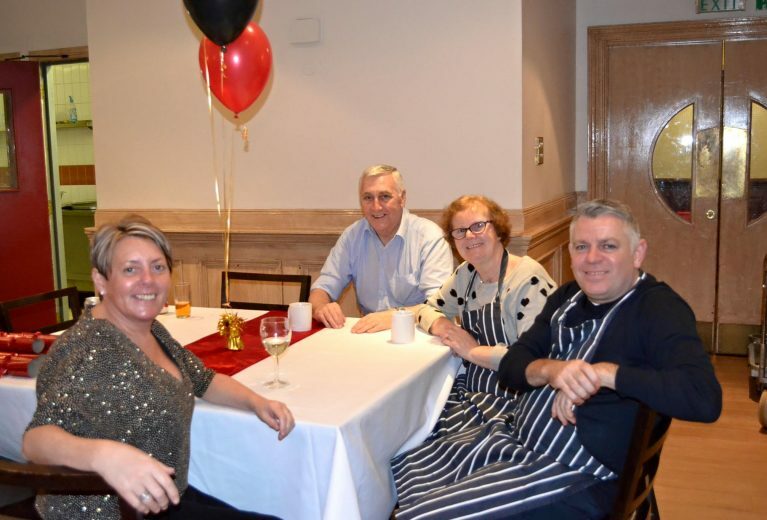 "just to say thank you very much for our Xmas party, we loved every minute."